About a year ago I started working on an adventure puzzle-solving game. Progress was going good on that for four or five months until I hit a major stumbling block with the design. Because of that, I decided to take a break and work on some video essays. Sadly, because of my high standards, I had not released much in the prior year as far as videos had gone, so I decided to lower the bar in order to perhaps release more frequently. The results of this decision, a rambling loosely-edited monologue about Dark Souls’ world design, were quite disappointing to me and so I set out to do much better on the next video. Unfortunately, for my next topic, I chose non-verbal communication in The Witness. This proved to be a challenging topic to pin down, and progress was very slow. Although I had hoped to finish the essay in one month, as of now, it is nearly 9 months later and it remains incomplete. Around December of 2016, I went on a layoff from my day job and managed to get back to seriously working on the Witness essay. I was making some good progress, the video grew from 2 to nearly 6 minutes in about a month of work. I felt like I was getting close to being able to finally release something of quality. But when I sat down and watched through all of what I had put together, something became very apparent: I had gotten completely lost in the weeds. I had hoped that by talking about some very low-level design aspects of the game, I could build upon that to speak about how the game’s design works at a high level. But much like quantum physics fails to explain general relativity, what I had was two different types of analysis videos that were cut together, and it felt very disjointed. This left me with a couple options. I could either move ahead, knowing that the final video was going to be disappointing to me and spotty in its quality. Or I could cut what I had done over the last month. So, I’ve decided to set aside the video essay for the time being, and instead have been working quite well on that other project, which is a game called Taiji. Taiji is a puzzle-solving exploration game, focused on player freedom and discovery. As a player, you are free to explore and solve puzzles. 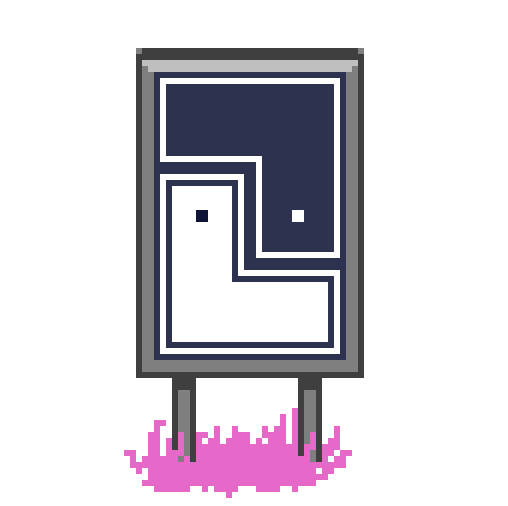 All of the puzzles in the game are solved using a consistent interface: a grid of tiles which may be either on or off. Inputting a solution to a puzzle in the game requires the player to put the tiles in the right configuration. Although having all the puzzles be this way might seem like it would be dull, this is really just the interface to solving the puzzles. The puzzles themselves might be about all kinds of different things. The puzzles are free to increase in subtlety and complexity, but unlike a traditional adventure game, where the rules change on a whim, in Taiji the player knows from very early on that in order to solve puzzles, they need to interact with these panels. If you want to keep up with Taiji, you can follow the development blog here.